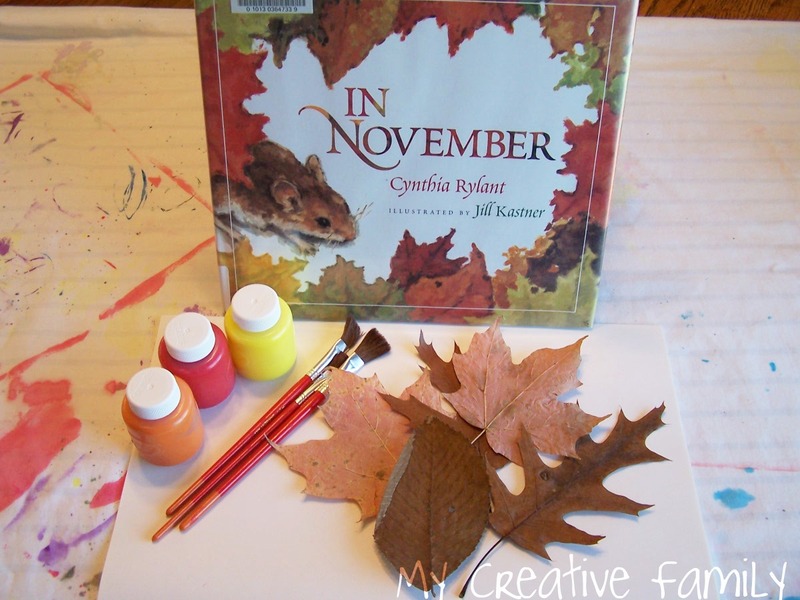 The minute I saw the book, In November by Cynthia Rylant, I knew it needed a great craft project to go along with it. The book is beautifully illustrated accompanied by a very poetic text about the different things that happen in November. 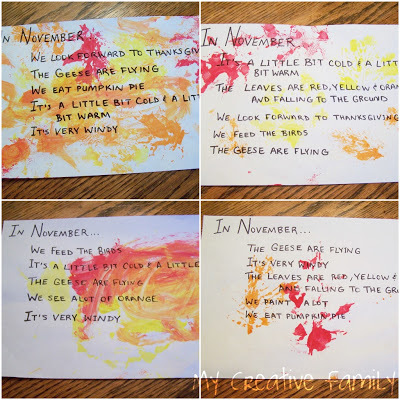 We heard about what the trees, animals and even families do in November. After we finished the book, it was crafting time! 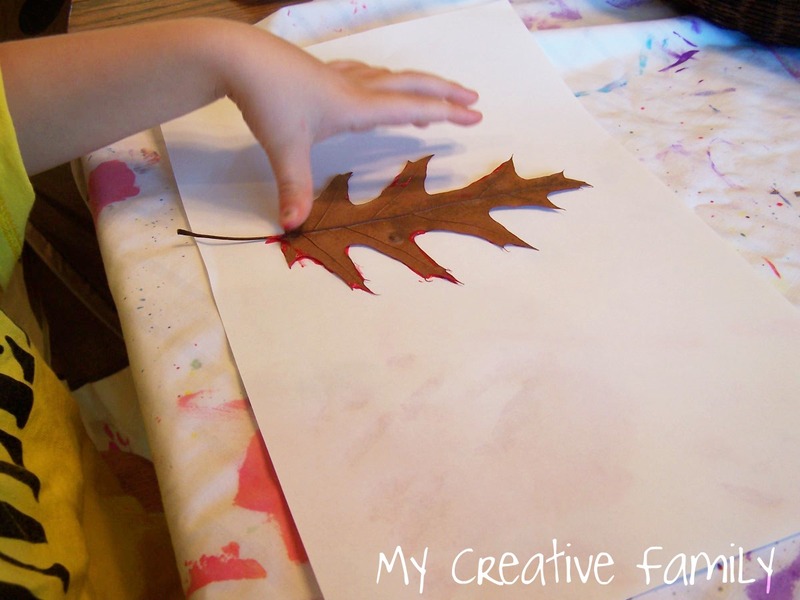 I set out our pressed leaves that we still had from our leaf rubbing garland, paper, and paint. 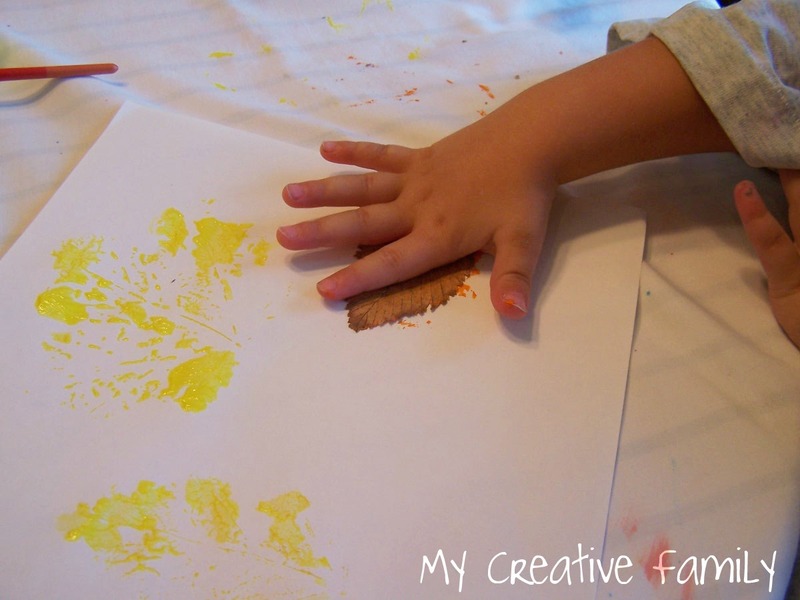 We were going to try some leaf stamping. I showed the girls how to paint the leaf then turn it upside down and press it on their paper. They were ready to go! AJ preferred the stamp and press portion of the craft, so I did the leaf painting for her. Lizzie was able to complete the whole project herself. We painted, stamped and pressed until we had four pieces of paper covered. 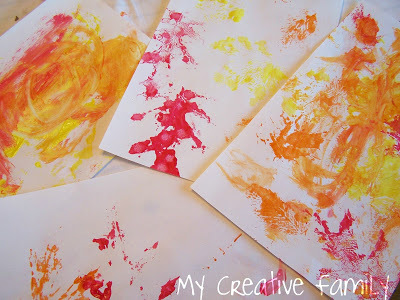 When they were done stamping, they decided to paint with the brushes on their paper as well. While we were working, we talked about November. We talked about the weather, animals and holidays. I asked “What happens in November?” and collected their answers. 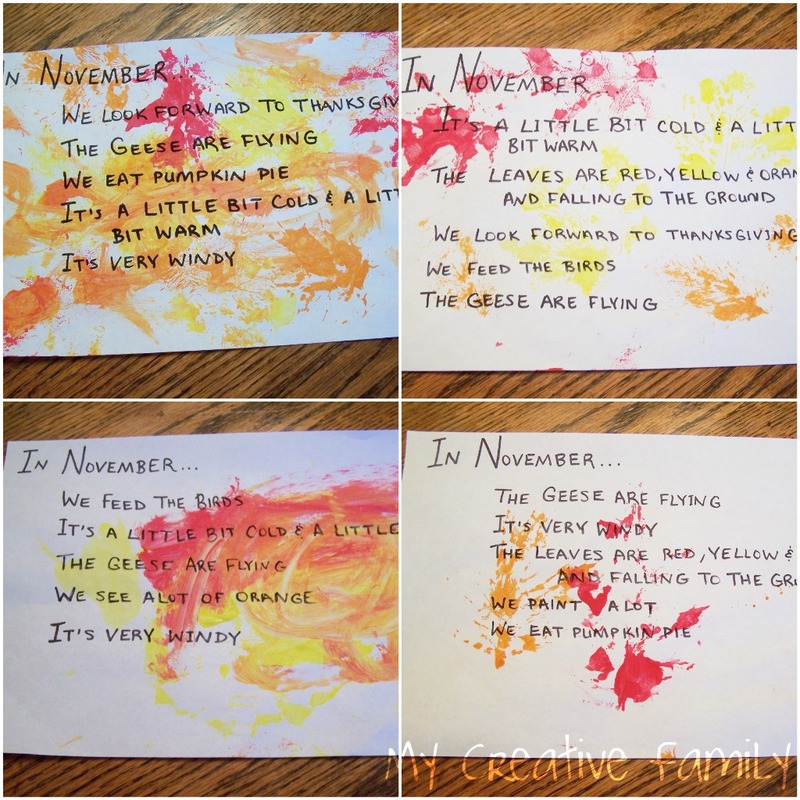 Once the paint was dry, I took out my Sharpie and wrote their answers on the artwork. I covered them in contact paper and we had four place mats. How are you celebrating November?